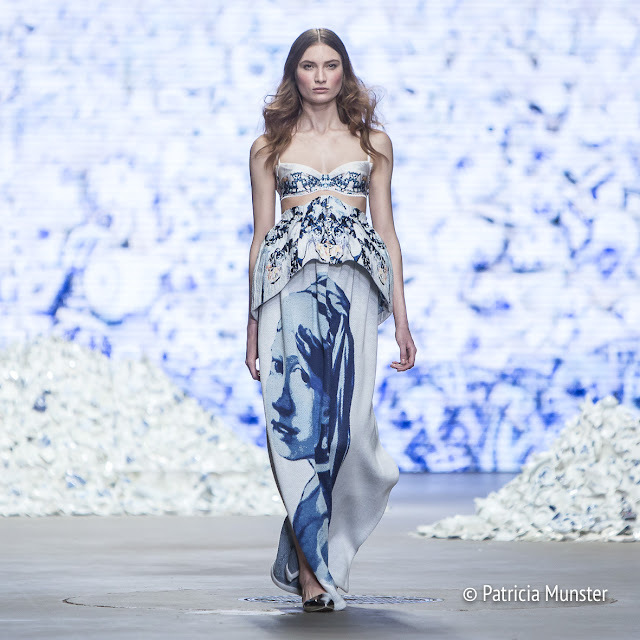 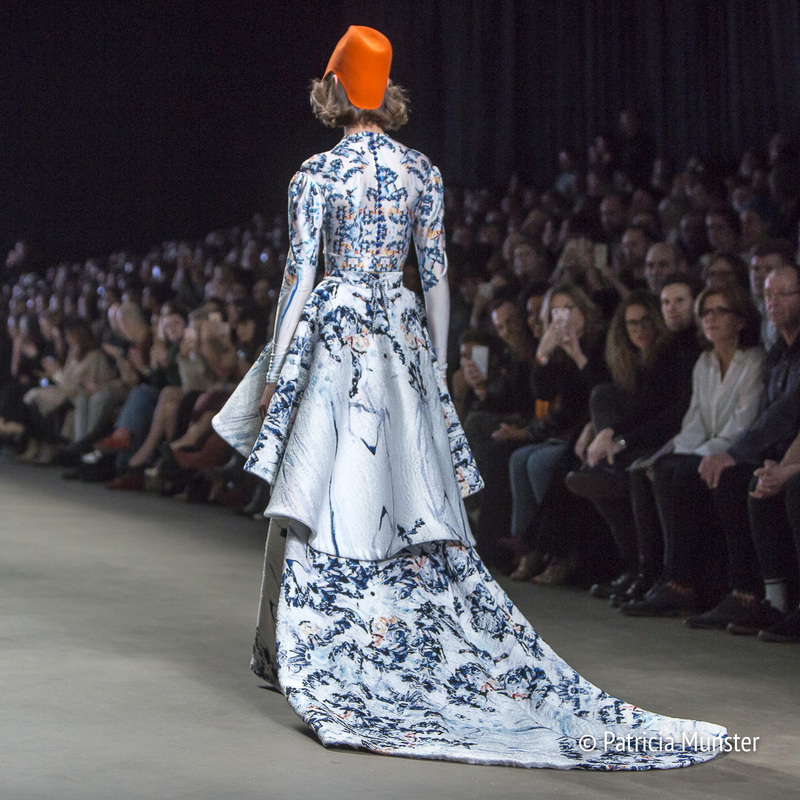 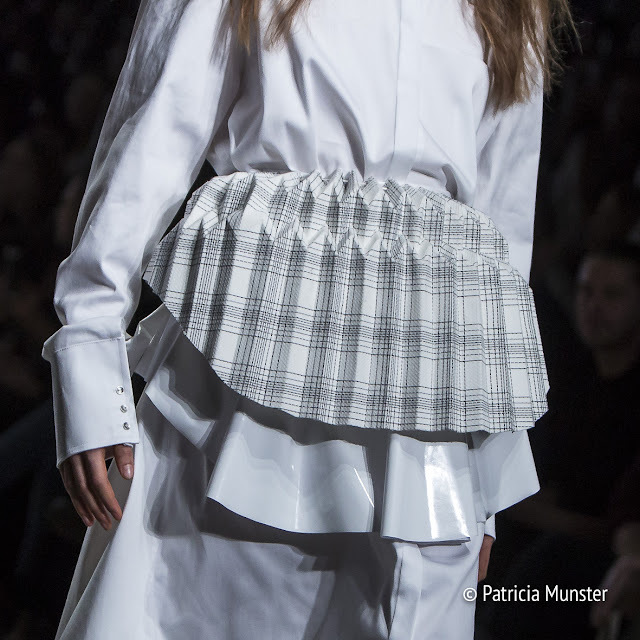 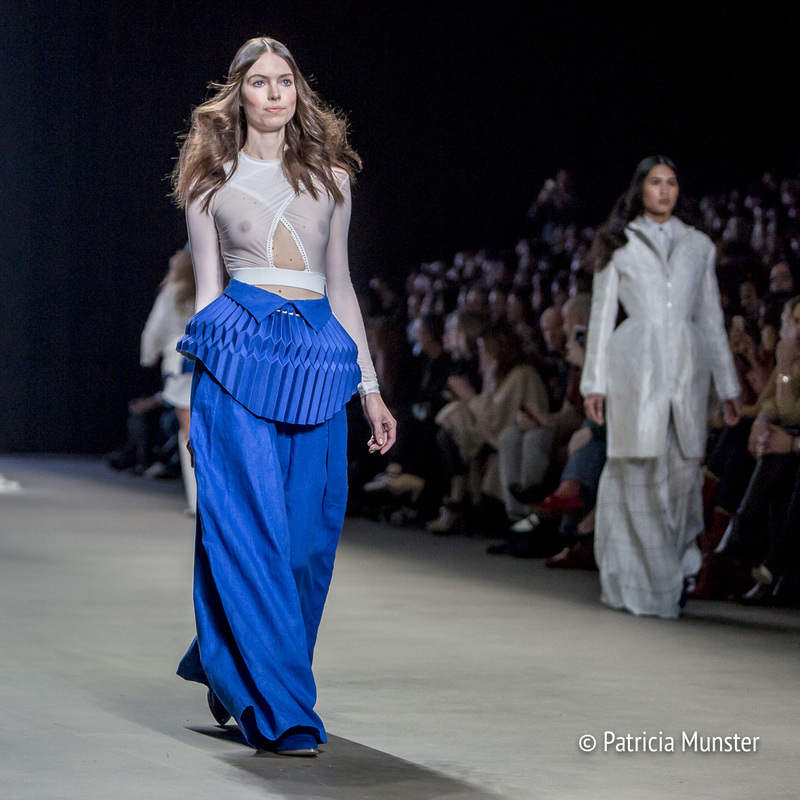 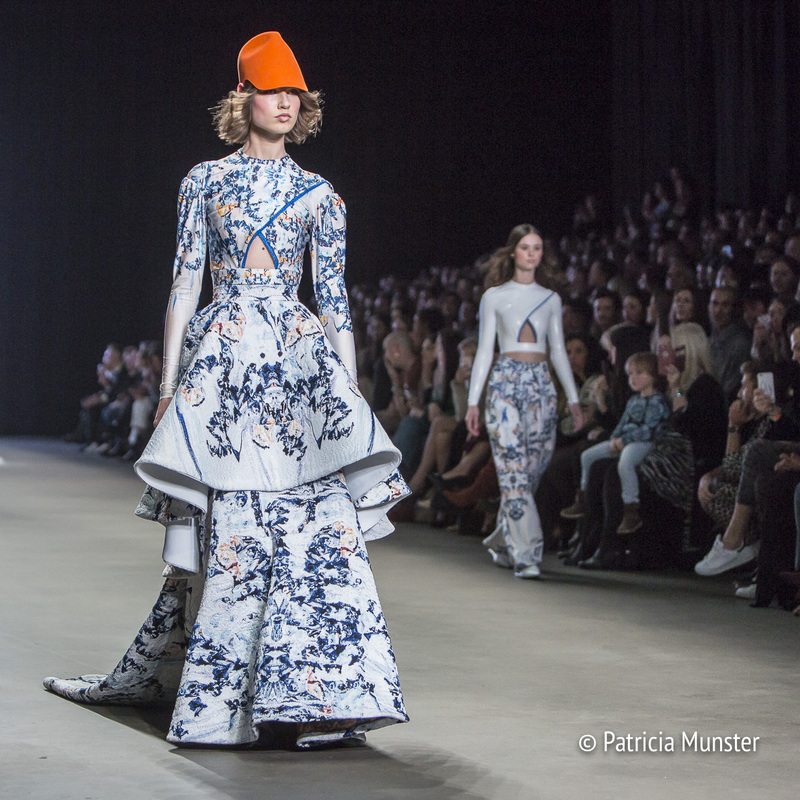 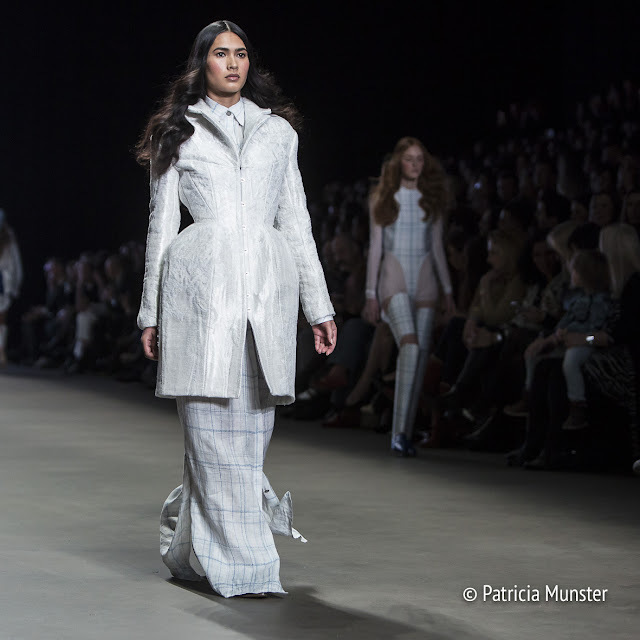 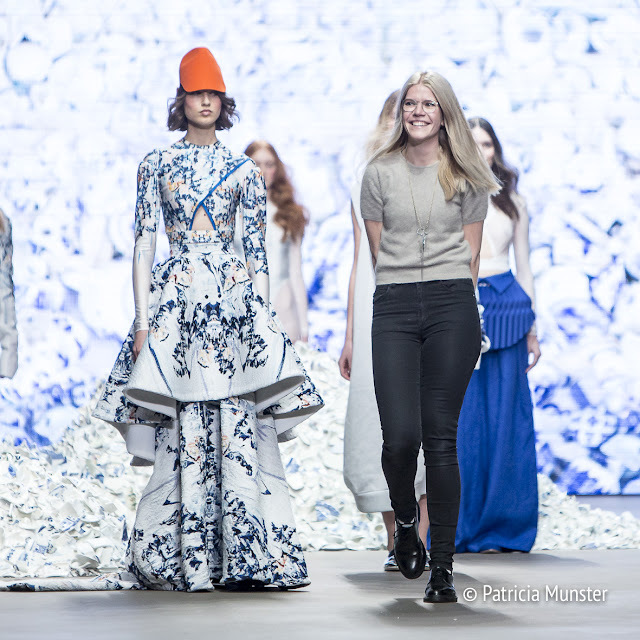 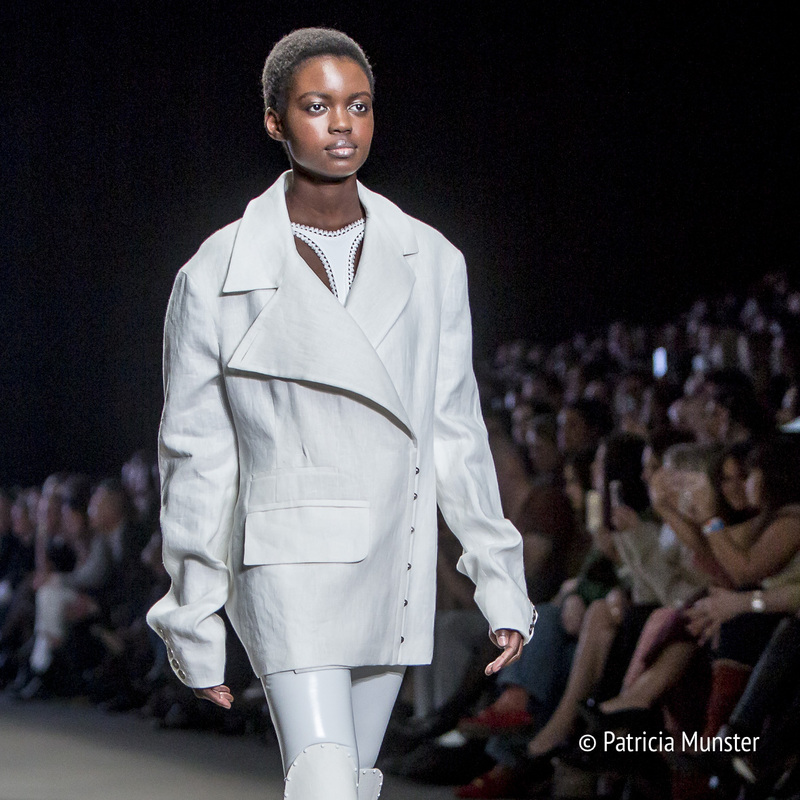 A "porcelain" collection by Tess van Zalinge impressed the audience and press during Amsterdam Fashion Week. The dutch designer cooperated for her new collection with Royal Delft or in dutch "De Koninklijke Porceleyne Fles". 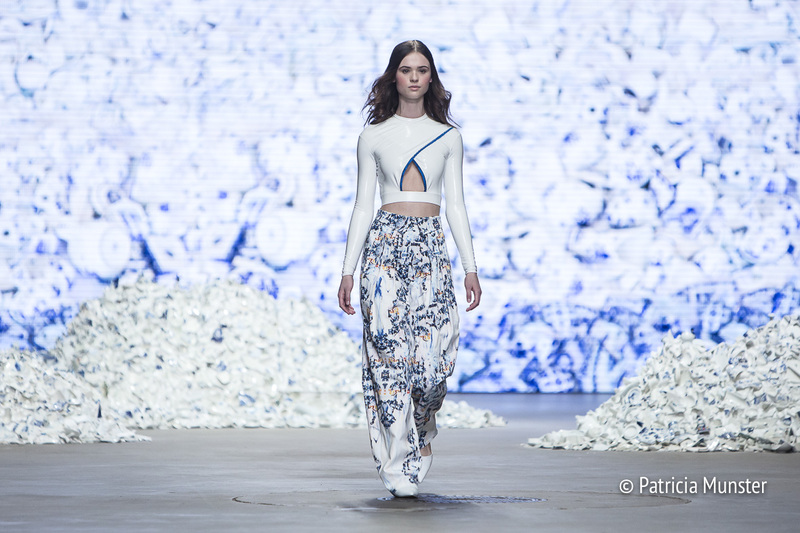 Her designs were inspired by the history of Royal Blue's pottery all in white and blue. 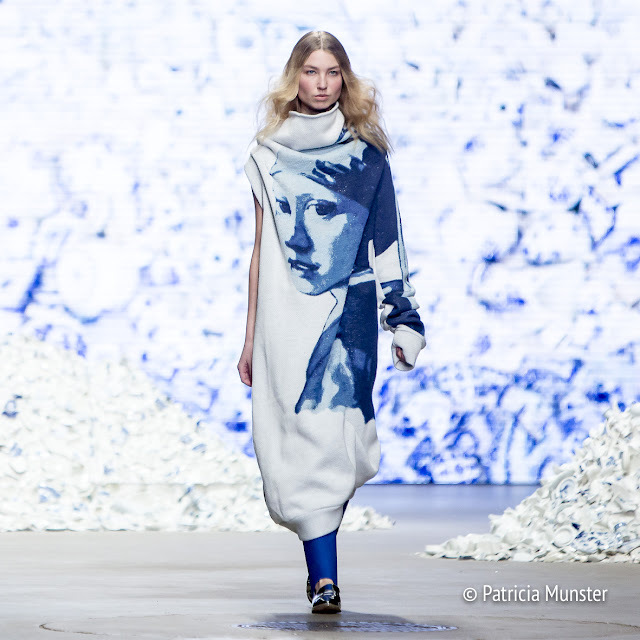 But not only, she was also inspired by the dutch painter Vermeer, by using his "Girl with the pearl earring" in knitwear and the folklore as seen in Zuiderzeemuseum. 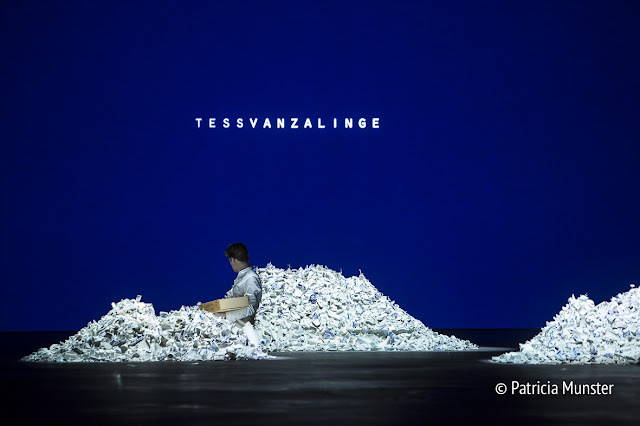 With the sound of breaking pottery the guests entered the Gasometer and had a look at a performer playing with pottery shards...while going to their seats. 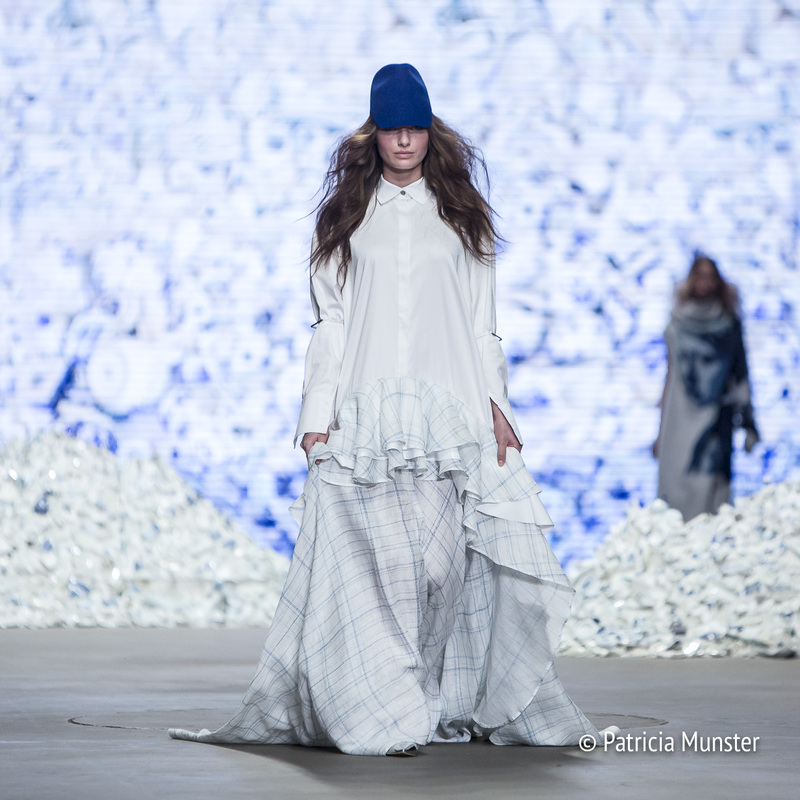 The show started with a well known dutch song "Laat me" by Ramses Shaffy. 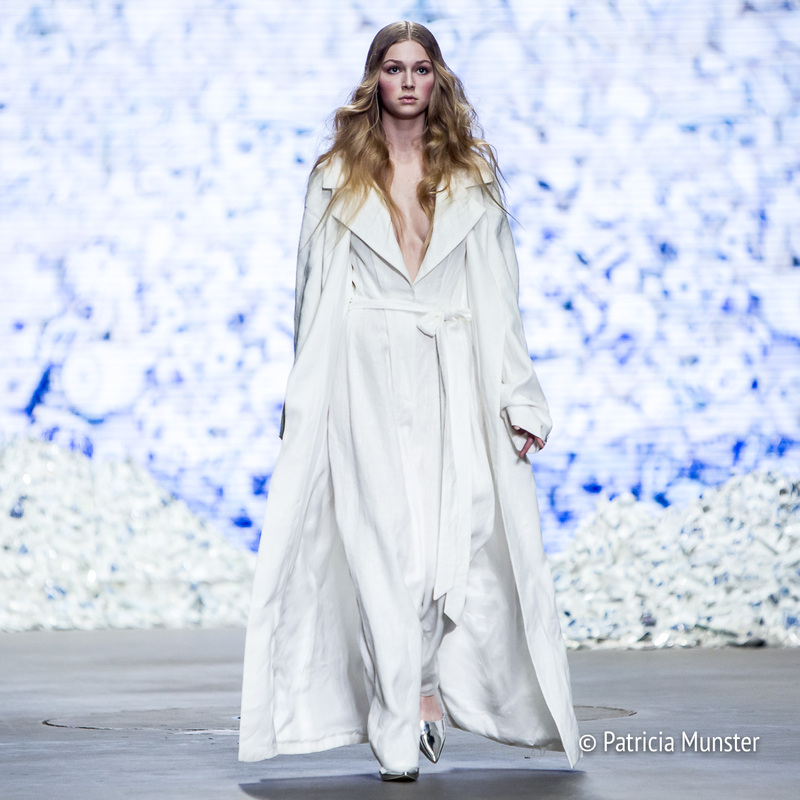 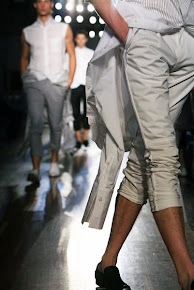 The first model came up in a total white look of patent leather or latex. 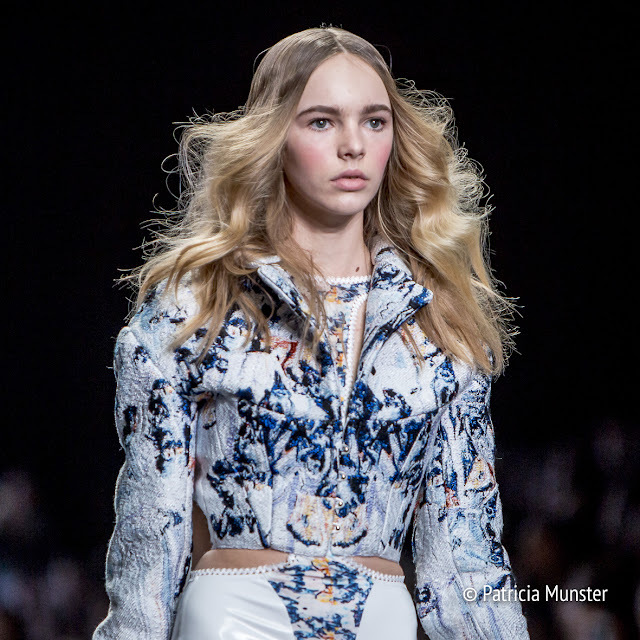 Her love for lingerie is still explicit present in her collection. 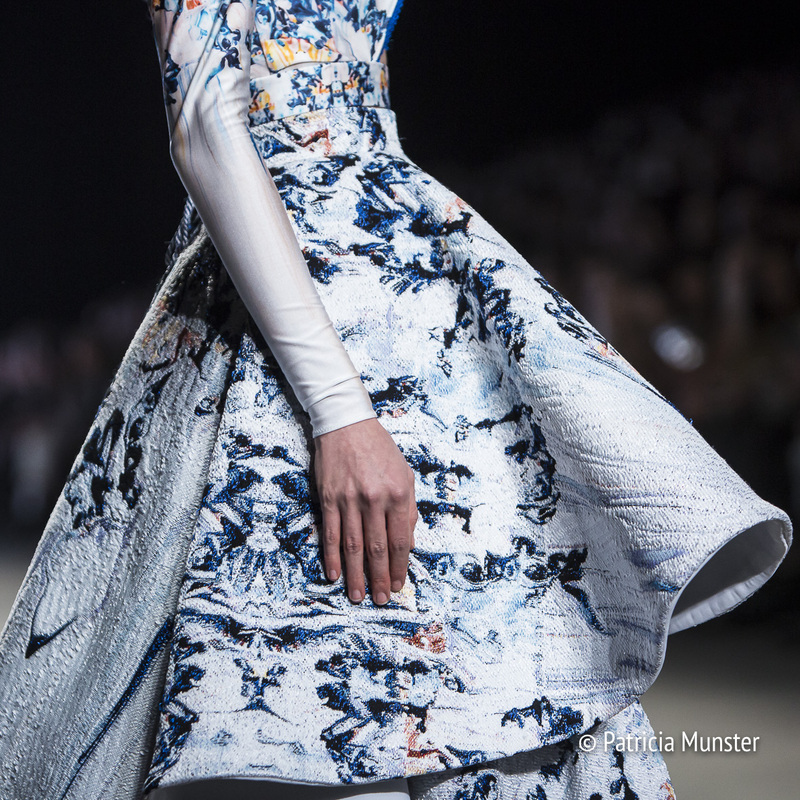 Making it visible in your daily outfit is her trademark. And unmissable in her new collection. The final dress is like a modern folklore dress with a touch of orange and just amazing, scroll down to enjoy the show! 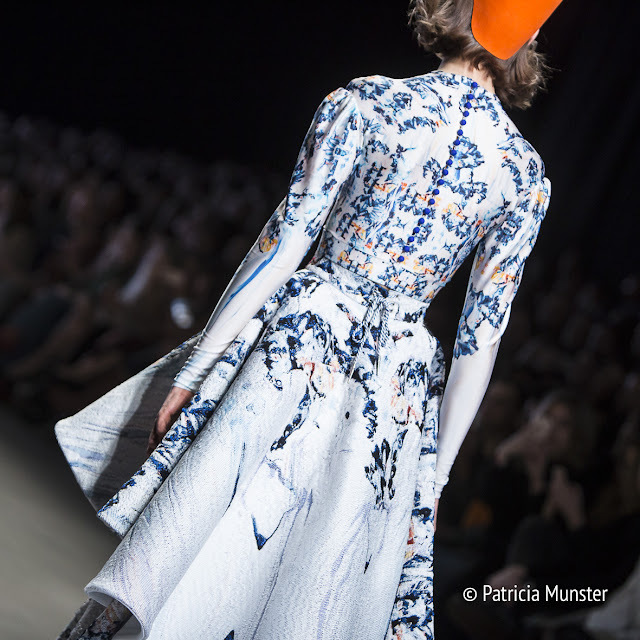 The lovely caps are made by De Hoedenmaker in Amsterdam. Some of the fabrics are especially woven for Tess van Zalinge at the Textielmuseum in Tilburg. 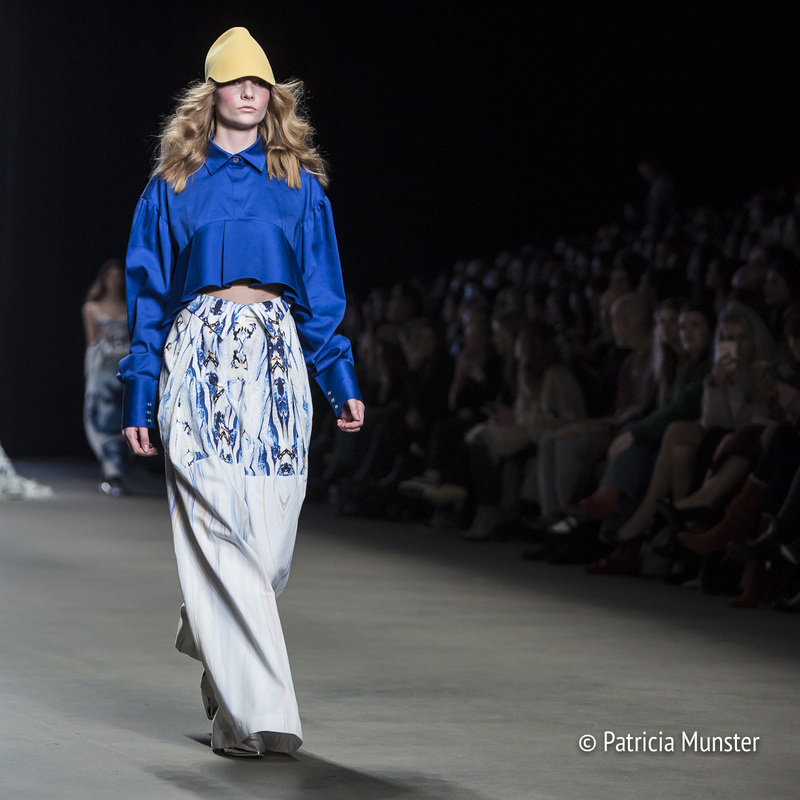 A part of Tess van Zalinge's collection is already available at XBANK in Amsterdam!